While summer is a time to relax with friends and family and enjoy the warm sunshine, it’s also the prime time to forget about fashion altogether, throw on a pair of shorts and a t-shirt and call it a day. Yes, it gets hot and yes, you’re busy with other things, but that doesn’t mean you can’t put a little extra effort into your look. 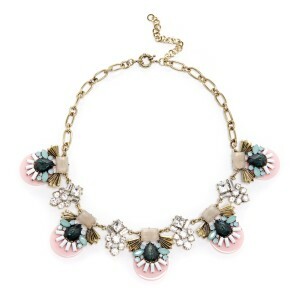 Sometimes the extra “something” that elevates your look is as simple as a statement necklace. 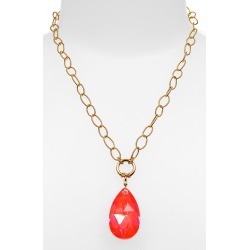 This Pendant Pending Necklace ($24.99) from Modcloth combines two of summer’s hottest jewelry trends: the “layered look” and the pendant. Pair this simple gold-chained necklace with a simple top and jeans for a pretty but relaxed look. Another hot trend is the rock pendant. Opt for a rock pendant necklace made of natural materials for a folk-art inspired look, or go for a more glamorous style with this Dabby Reid ‘Elizabeth’ Stone Pendant Necklace ($68.00) from Nordstrom. Pair it with a white peasant top, flared jeans, and wedges for a modern twist on a ‘70s look. Take a cue from the world of1920s art and architecture with a simple but glamorous art deco-inspired necklace like this Deco Statement Necklace ($39.95) from Sole Society. The sharp lines, symmetrical shapes, and simple gold chain keep this necklace from looking too busy despite its intricate pattern. Pair it with a simple shift dress and heels for a night on the town. You’re probably thinking, “How can I wear tassels and not look a DIY project gone wrong?” Tassels are actually easier to wear than you think. 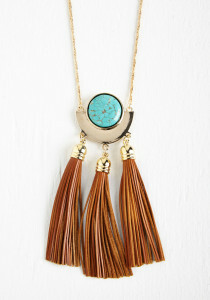 Ease into the trend by choosing a necklace with neutral tassels like the Vivid Verve Necklace ($24.99) from Modcloth. 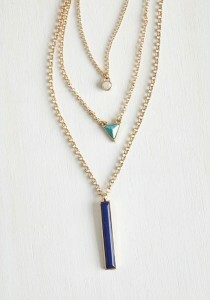 The long chain chain and the faux turquoise stone complete the ‘70s vibe. Wear the necklace with a maxi dress and sandals for an outdoor family get-together.